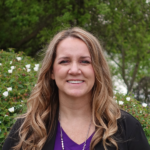 Nicole has over 11 years of sales and use tax experience primarily in onboarding new client accounts. She oversees the sales and use tax compliance team which prepares thousands of multijurisdictional returns throughout the year for several clients. She also has versatile sales and use tax experience with multijurisdictional registrations, research, taxability studies and voluntary disclosure agreements. She has handled detailed studies to determine taxability of specific products and services. Her attention to detail and exemplary spreadsheet analysis have ensured thorough resolution of complex projects. Prior to joining the firm, Nicole spent six years providing mutual fund and insurance accounting services with State Street in Kansas City, Missouri, where she made a rapid ascent from Fund Accountant to Account Manager. She managed several client accounts, including new client setup, during which she provided accuracy and strong client relations. Nicole continues to utilize her finance background to understand and assist clients with their tax issues. Nicole earned her Bachelor of Science degree from the University of Kansas in Accounting and Business Administration with an emphasis in Finance and is currently associated with the Institute for Professionals in Taxation.